Our indestructible 3 point hitch receiver drawbars redefine the tractor ballast box. With our receivers, you no longer have to choose between adding weight and adding tools to get the job done. Now you can do both. Just add suitcase weights for counterweight and hook up to any 2” receiver compatible attachment. The Category 1, 3 Point Hitch Receiver with Dual Weight Bracket Heavy Hitch is made for sub compact tractors and compact utility tractors up to 45 horsepower and is built to the ASE Standard S278.5. 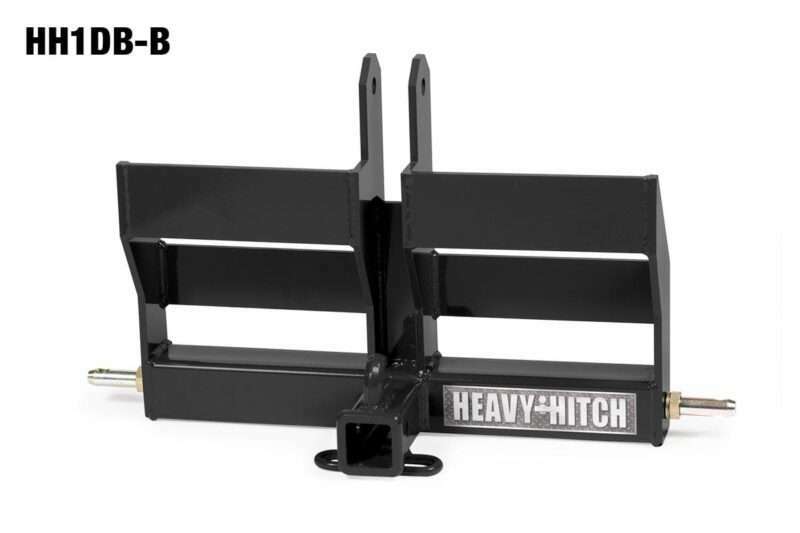 This 3 point hitch receiver comes with 7/8″ lower pins and uses a 3/4″ top pin. 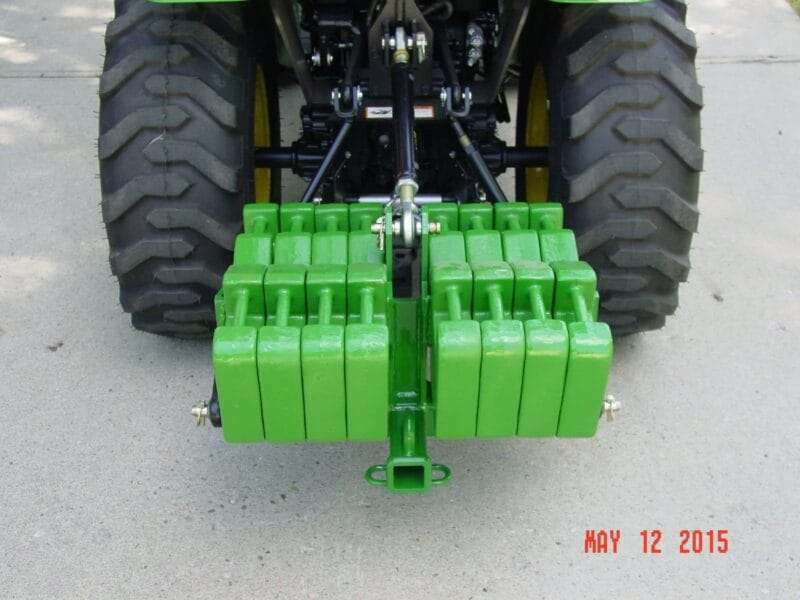 It also allows up to sixteen John Deere 42 pound or 70 pound suitcase weights to be attached in either direction, forward or back, depending on clearances. 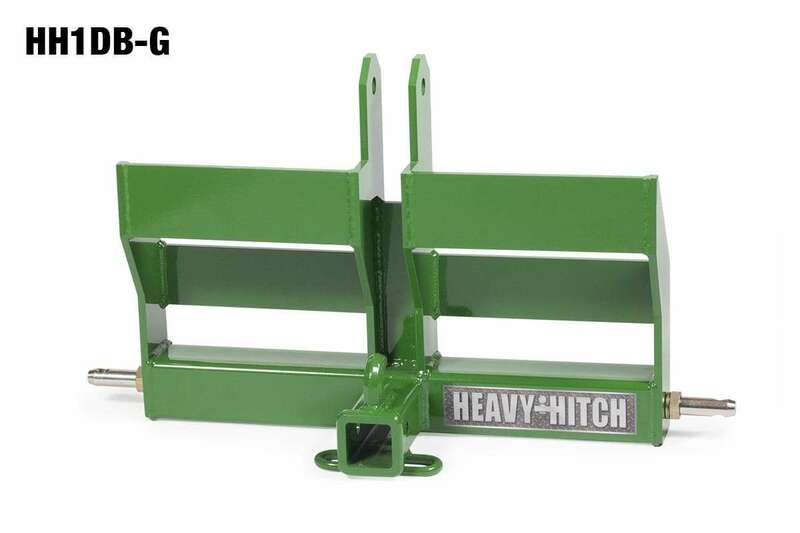 This super duty hitch has 3/16” wall thickness on the lower 3×3” square tube opposed to ⅛” on the regular; also includes a welded on ⅜” chain hook. Plus, it has a 2 inch receiver hitch for more pulling options. Category 1 tractors are rated up to 45 horsepower. Not sure if your 3 point hitch receiver is category 0 or 1? Just measure the lower 3 point hitch holes. Category 0 will be 5/8″ diameter and 1 is 7/8″ diameter. Comes standard with a super durable finish in your choice of John Deere Green -G, Black -B, or Kubota Orange -O environmentally friendly powdercoat. Select color when ordering. Constructed of 3/8″ thick steel plate and 3″ square box tubing. No cheap angle iron and straps. Works with or without a 3 point quick hitch system. John Deere part #R66949 or #R66949Y, 42 pound suitcase weights and other comparable weights from Massey Ferguson, Kubota, Case International, New Holland and more. 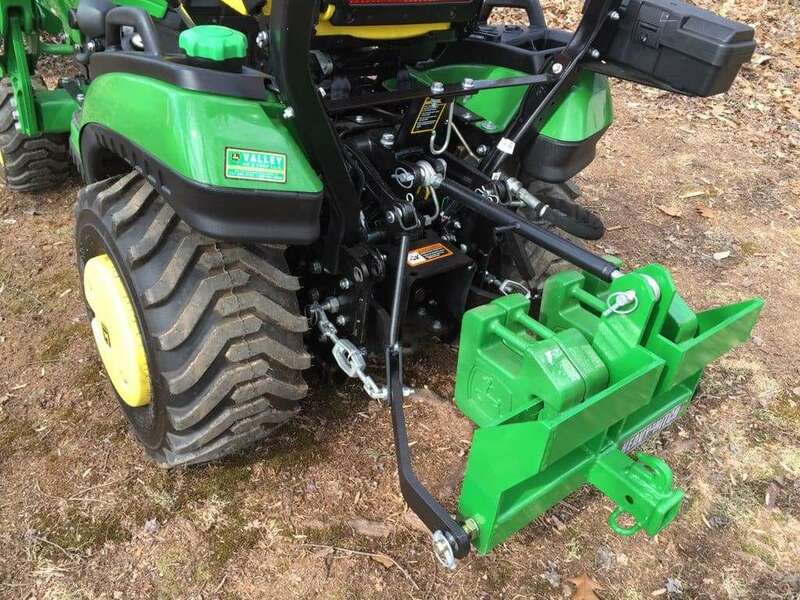 Most 3 point quick hitch configurations and quickly attaches to John Deere, Kubota, New Holland, Case International, and more. One of the most popular 3 point attachments for John Deere 1 Series sub compact tractors: 1023E, 1025R, 1026R. Please call (1-888-337-8999) or email us if you have any questions.